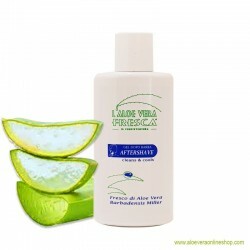 Aloe Vera Sun Cream is a moisturizing sun protection cream made with refreshing aloe vera extract. 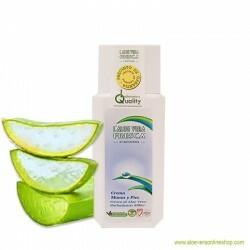 Aloe Vera Sun Cream is a moisturizing sun protection cream made with refreshing aloe vera extract. SPF 30 help protect the skin against UVA and UVB exposure. High concentration of aloe vera protects, preserves moisture and delivers known skin-healing benefits for natural tanning results. Easy to apply and quickly absorbed. How to use: Apply generously before sun exposure to the skin and to obtain the sunscreen, repeat several times a day. Avoid sunbathing in the midday sun. Avoid direct contact with eyes, open wounds and mucus membranes. Do not swallow. Keep out of reach of children. Not suitable for children under 3 years of age. A permanent stay in the sun is a risk to your health.